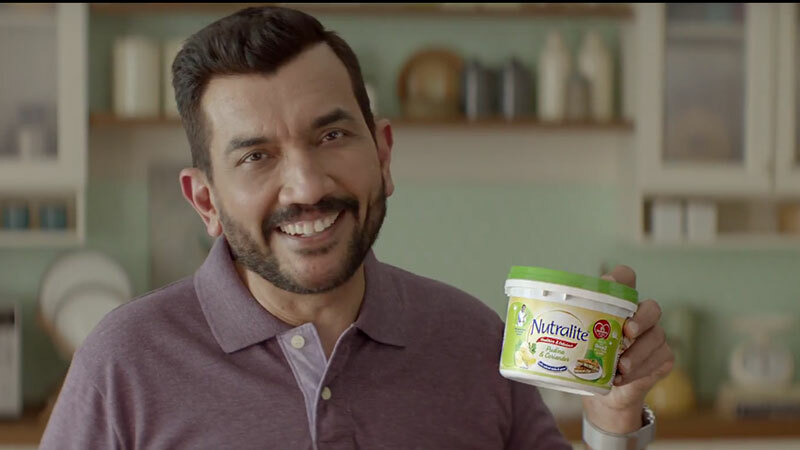 To market Nutralite’s two new variants, DDB Mudra West crafted a campaign, #KhaneMeinTwist, to create awareness and excitement about the product amongst the potential consumer base basis the emotional benefits of Nutralite. The TVC of #KhaneMeinTwist captured the limited lack luster options in everyday health food brought down the happiness quotient of the mornings, continuing the melancholy for the entire day. This situation was aptly backed up by the 90s pop song – ‘Kya Soorat Hai’ played in the background, showcasing the torment caused due to bland diet food. This is when the food maestro- Sanjeev Kapoor, introduces the new variant offering by Nutralite, which would help the homemakers and the foodies to whip up an array of healthy yet scrumptious dishes, thus turning the frown upside-down. Given the countless possibilities of creating exquisite dishes with the help of Nutralite, the home- makers are freed from the health v/s taste dilemma; leading to a transition of these homemakers to home chefs. Additionally, on the digital front, Tonic Media created the First ever on Demand “RealTime” cook show on Facebook Live. The brand got Sanjeev Kapoor to take requests and offer recipes, tips, and more.